Big milestone!! Max is crawling!! He started crawling Friday afternoon. The timing was great, because of his new clapping skill. So he will crawl a bit, sit up, and clap with a big smile. It's adorable! He's crawling around to get to things and pulling up on them once he gets there. Here is where the trouble starts! He hasn't started doing laps around the house, but I'm sure it will be coming very soon. He's loving the sweet potato, and he loves smooshing it all above his face and ears. We tried grapes in a mesh feeder, and he seemed to like that a lot. I think he would prefer to have them in his fingers to feed himself, but we are nervous to give him things like that already. 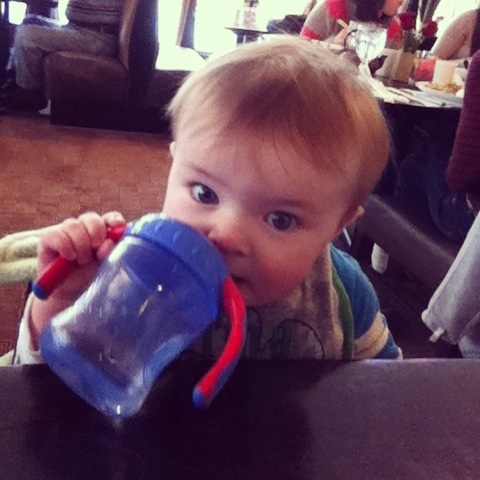 He's getting to be a real pro with the sippy cup! He loves water, and gulps it right down. 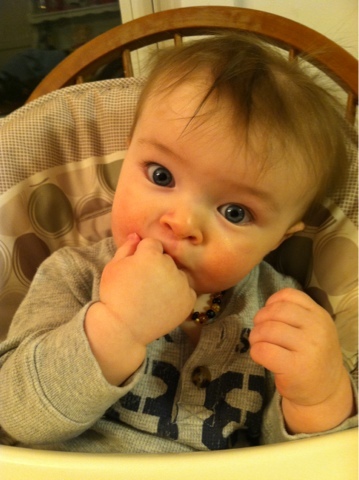 Max say in a high chair at a restaurant for his first time this weekend. He was such a good boy. 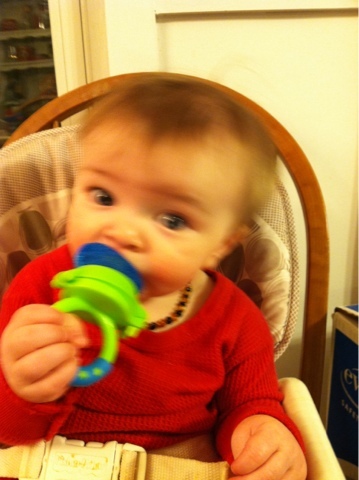 He ate his oatmeal and sweet potato, and even plenty of puffs. I almost expected him to be too distracted to eat. He loves looking around so much, but he was able to focus as well. He is kissing his baby books too, which is so cute!! 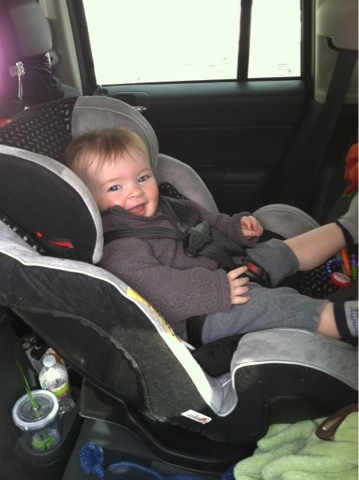 Another big step this week, he's in his big boy car seat! He looks very comfy on there, and acts so excited. He can see a lot more of what is going on, which of course is his favorite. Happy little boy!